The now-former camogie manager, Martin Carey, has stepped down from the post. As per Aidan Delaney of South East Radio, Wexford failed to field a team against Cork in the Division 1 Camogie League today [Saturday], forcing a walkover. Today's clash between Cork and Wexford in the @LittlewoodsIRL Camogie Leagues Division 1 has been called off. A number of inter-county camogie players are members of St Martins GAA club. St Martins are playing in the All-Ireland semi-final tomorrow [Sunday] against Inniscarra of Cork. Despite this, one would think that Wexford, who were winning All-Irelands and fielding two teams not too long ago, would be able to field a team for a competitive Senior camogie match. 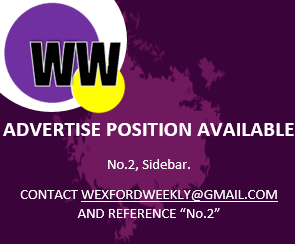 In 2018, Wexford withdrew their second-string intermediate team from the Camogie Championship following the county board’s handling of the managerial situation. A statement is set to be released by the Wexford Camogie County Board on the matter shortly.